Sign up to volunteer for Billie and we will put you in contact with our local organizer in your area! The Sutton Stampede is storming events all over South Dakota. Use the link below to find an event near you and sign-up to volunteer! Using our new outreach tool, VoterCircle, you can easily and safely send a message to your friends encouraging them to support Billie! Rest assured, no information is shared with the campaign and only you are allowed to contact them. So, login to your email and start spreading the word about Billie! We need your help reaching voters across the state. We can easily set you up and train you to contact voters in South Dakota and let them know about the campaign. Sign up to make calls from the comfort of your own home. Support Billie and his campaign by making a donation. Your gift will help boost our organizing and outreach efforts so that we can contact every voter in the state. 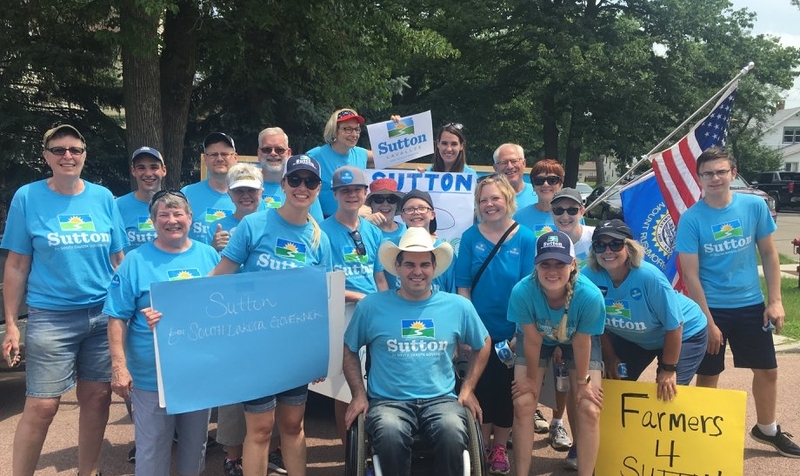 Your friends and family would love to hear from YOU about the Sutton Campaign. Request additional info about our letter writing campaign by signing up below. Interested in forming a Sutton Stampede group in your community?